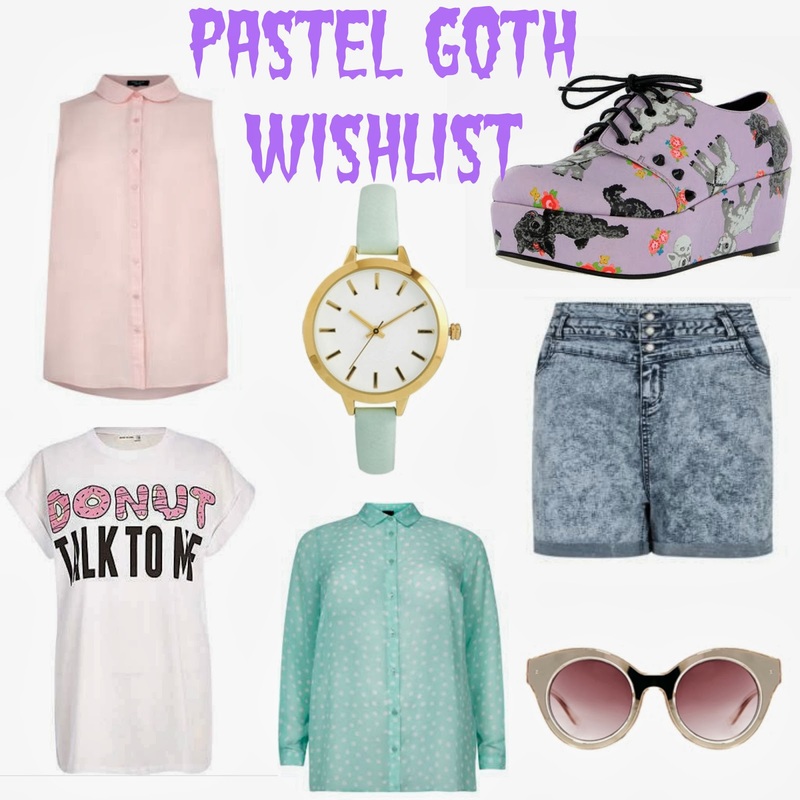 This is a wish list, but really it is things I NEED more than anything in my life to achieve total pastel goth status. All of these things would look perfect together, but specifically the Iron Fist Lamb Flatforms. I dreamt about them, plus I find it so difficult to find shoes that go all the way up to a 9, especially shoes I want to wear like this. Lets talk about Asos Curve doing watches now?! I have seen their jewellery but haven't actually sampled it myself as it wasn't all really to my taste, but all the watches on their site are absolutely spot on *insert ok sign emoji* and I want them all. I don't think straight size people even have to consider things like not buying a cheap watch because it won't fit your fat wrist, these are all things taken for granted and I applaud Asos Curve once again for being superb, why can't every plus size retailer follow their lead. This is all very summery, but teamed up with some thick tights, Doc Martens and my leopard print coat of dreams 2 would definitely transition into spring. Again, if you want to buy me some shoes, those shoes are everything I need to complete my life.